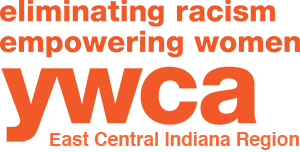 At the YWCA we are on a mission to eliminate racism, empower women, and promote peace, justice, freedom, and dignity for all. In the past several weeks we have been unpacking this mission through a four-part blog series, highlighting how we put these words into actions. This week we are wrapping up the two final portions: promoting freedom and dignity. A few weeks ago, our staff participated in a training titled, “Bridges Out of Poverty,” presented by Mrs. Dorica Young-Jones. During her presentation, she outlined reasons why rising out of poverty is easier said than done. One phrase that stuck out while discussing cultural barriers was: “You don’t know what you don’t know- until you don’t know.” Because freedom and dignity are not tangible objects, we do not always know to what extent our freedom and dignity reach. It is not until someone shows us our full potential that we can begin to realize, or question, our own freedom, and dignity. Our job at the YWCA is not to point out the distance between women and their goals, but to be there with guidance and resources as they work towards them. By doing so these women are able to acquire a sense of personal freedom as they progress into independent members of the community. By allowing ourselves to view the world from the eyes of those imprisoned by poverty, we can begin to better meet their needs and equip them with the tools necessary for success. One of the freedoms those in poverty miss out on is the confidence and dignity that can come from a functional wardrobe. How one presents his- or herself is not only a factor that can land a job but also affects the way they go through life. Miss Sonya, a resident of the YWCA says, “I believe that if you look better, you feel better.” Miss Sonya has worked passionately to turn our clothing closet, once located in our basement, into a flourishing third-floor boutique. The boutique is now a place for our residents and their children to acquire clothing that boosts their self-esteem. The boutique is open to residents every Wednesday afternoon. Embracing, celebrating, and accommodating different races, disabilities, sexual orientation, religions, gender expression, and ages has been something we’ve prided ourselves on and constantly work to improve. This welcoming environment gives women the opportunity to nurture their self-love and confidence, something that is oftentimes missing when they initially enter our facility. Our activism works to ensure that civil rights are given to each and every woman, regardless of those characteristics listed above. Our inclusivity and activist nature allow us to provide a safe, peaceful haven for women and their children. We hope that this four-part blog series has given insight on who we are, what we’re doing, and how we are doing it. Our work never stops. Join us on our mission to eliminate racism, empower women, and promote peace, justice, dignity, and freedom for all. You can be a part of this important work by volunteering, donating money or services, attending our events, and sharing our messages on social media.